The United States issued three types of ten dollar bills in the 1920s. 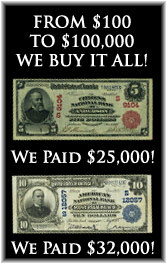 There were legal tender notes, gold certificates, and national bank notes. All of these circulated interchangeably with no preference for one over another. Some of these notes can be extremely valuable in today’s market. It all depends on the condition, serial number, and issue type. The most common note from the time period is the Series of 1922 $10 gold certificate. 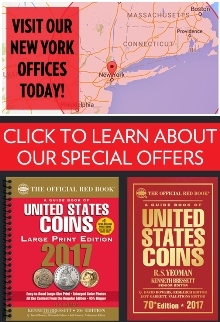 These were printed by the millions and are usually available for around $125. Each note features a portrait of Michael Hillegas. The seal and serial numbers are both in gold ink. Small size gold certificates were issued later in 1928. One of the rarest of all ten dollar bills is the Series of 1923 $10 legal tender note. Less than 700,000 were printed. Several hundred still exist today and they are a fan favorite. 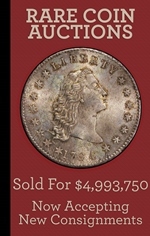 Some low grade examples sell for less than $1,000, but most are worth more money. 1923 is the last year that Andrew Jackson was ever featured on a ten dollar bill. Collectors call these “poker chip” notes because the back design looks like it has two poker chips on it. Understanding which national bank notes were printed when can be difficult for anyone. Fortunately though, the 1920s is easy to decipher. Only series of 1902 blue seals were being printed then. They could still have a date of 1920, 1921, 1922, 1923, 1924, 1925, 1926, 1927, or 1928 on them. 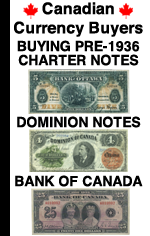 Production of large size notes ended in 1929. So if your $10 bill has a late date on it (like in the 1920s) it is possible that the bank didn’t issue many notes, thus making it potentially rare. The bank of issue is very important with these $10 bills. Some banks are worth $50, others could be worth $5,000. You need to talk to an expert before trying to assign a value.